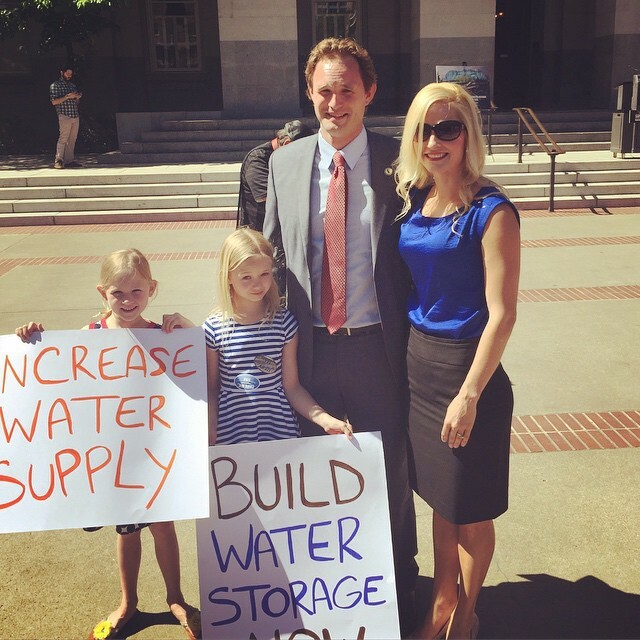 I am Janna Gallagher, a mother, teacher, writer, Crossfitter, runner, and wife of our 3rd District California Assemblyman James. James and I both grew up in the small farming town of Rio Oso and shared our childhood together from Kindergarten through high school graduation. I have a bachelor’s degree in Government and completed a teaching credential program before beginning a family. I now homeschool our 5th, 3rd and Kindergarten children. During the school year, I enjoy a 5:30 wakeup call several mornings a week so that I can run five or six miles to clear my head and talk with one of my friends. My husband will make the coffee and be out the door upon my return. Depending on the schedule of his week, my runs may be moved to the weekend, as he is not always home. In that case, the kiddos will tag along with me to Crossfit later in the evening. The morning shuffle includes getting the kids up, clothed, fed and to our “school” table by 8:30. I will start a load of dishes and clothes before I sit down for my second cup of coffee as we begin our studies. We follow a classical education model, so I include all three children in as much memorization and read aloud lessons as possible covering the Bible, literature, Ancient to modern history and science projects together and then focusing individual time on grade level based language arts and math. I love to cut up fresh fruit and put together a bowl of granola bars, pretzels and yogurts that my kids snack on at the table so that the majority of our morning is as effectively focused on learning as possible. One of my favorite “borrowed” ideas is having an art journal for each child. They take a topic related to science or history and research it with our library and sometimes the internet. They draw and write about it in their journal. This gives them something to work on if I need more one on one time with one of their siblings. It is also a great place for the many questions that arise on car rides or as we are going about our day to be answered. Once a week we join our Classical Conversations group for classes and fellowship. Our afternoons are busy with the typical after school activities. Our daughters take ballet and contemporary dance classes, an art class and are just participating in their first drama production in the upcoming weeks. Our son, who is five played t-ball this year. 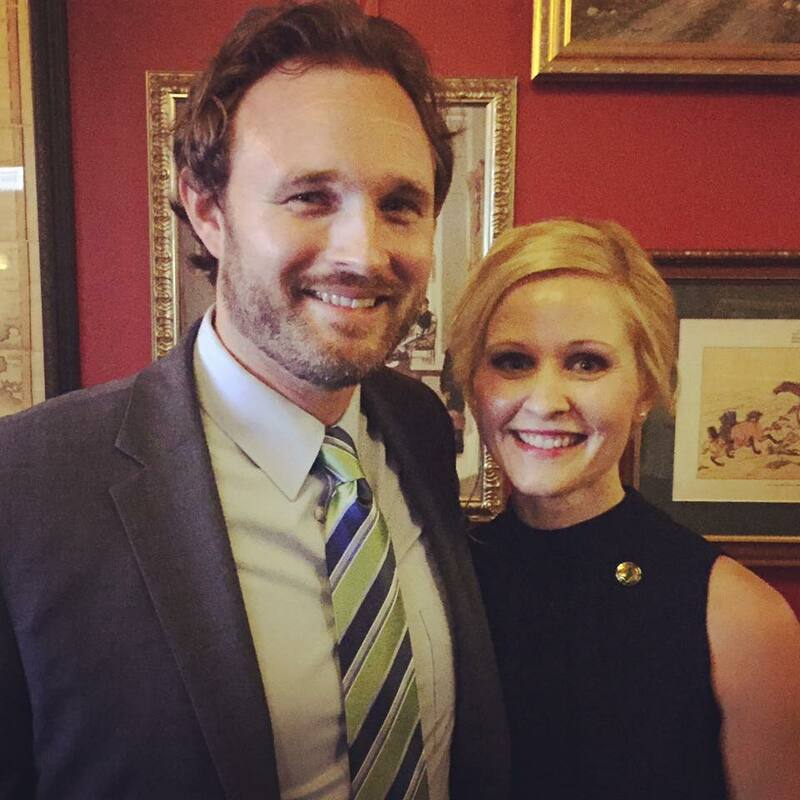 When political events come up, I often rely on family to help so that I can be in attendance with my husband. 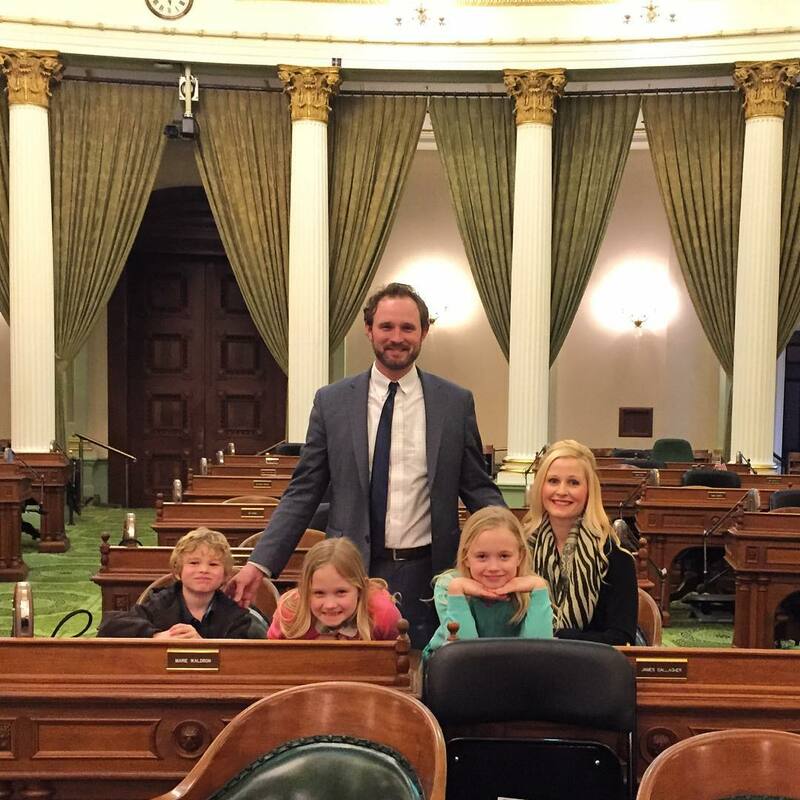 Juggling family and our political life takes some planning and a great team of people that we are fortunate to have. Campaigning and fundraising, district community events, Capitol events, and political party events all encompass this life. 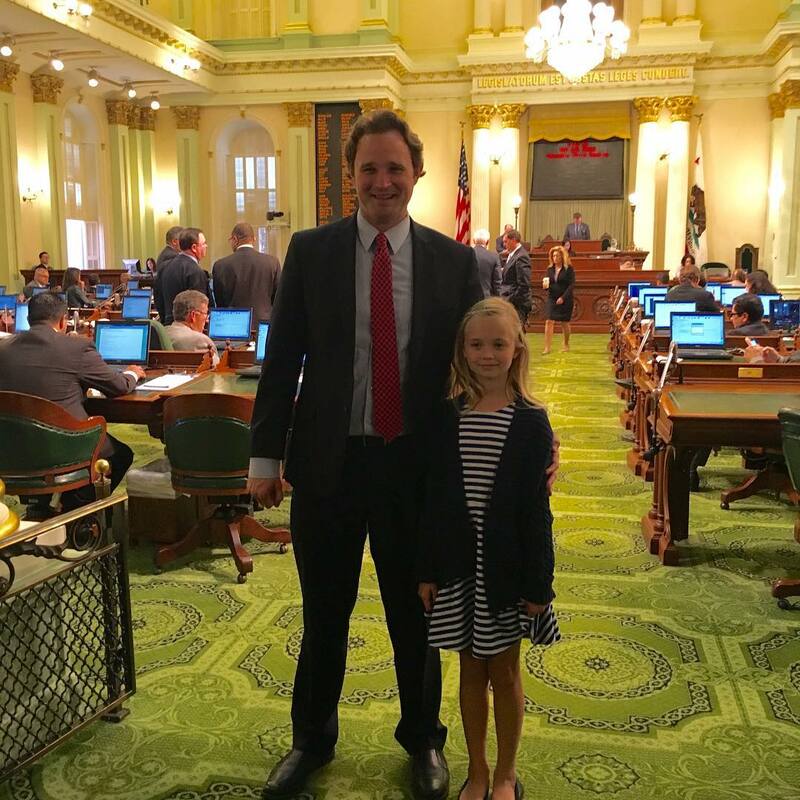 Depending on the week, the kids and I could take the day to drive down to Sacramento and attend a rally, or a day time event like Farm Day and spend a little office time with daddy. 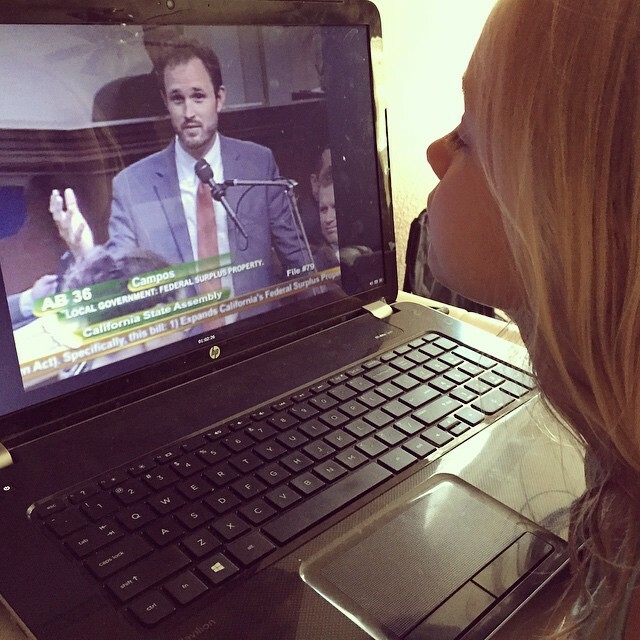 Mondays and Thursdays the Assembly has floor session and the kids and I will watch online from home to hear the some of the debates. 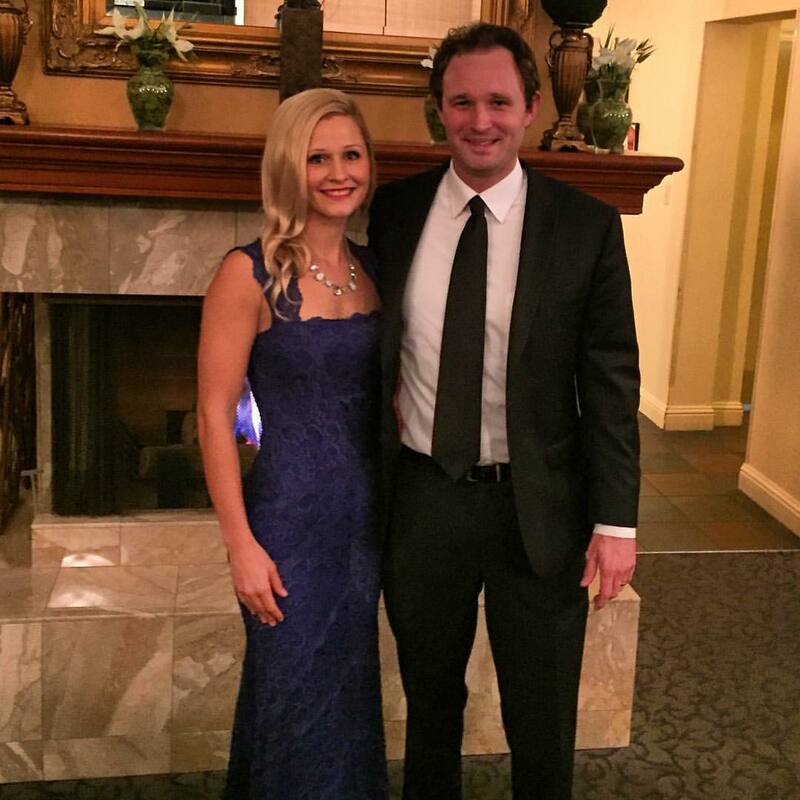 I try to go to Sacramento and district events along with my husband, as this gives us time together. Sometimes it is difficult to step away from the kids, but the time we have to drive and talk is priceless. We look for as many community events that we can take the kids along to like rodeos, county fairs, barbeques, fundraising runs, pancake breakfasts and parades around the district, which spans from Red Bluff all the way to the Sutter County/Sacramento line. During campaign season, the kids help us walk precincts and volunteer at headquarters doing things like stuffing envelopes. They love being a part of our team. The challenge of stepping into very different roles throughout a day: being a stay at home mom dressed in sweaty gym clothes and cleaning supplies to teaching my children Latin noun declensions to attending a political event all dressed up to meet a Presidential nominee mingling in a crowd of business men and women. My most enjoyed moments, no matter what role I’m in is when I am fully engaged in a meaningful conversation with someone who is sharing a trial or experience they have just walked through. Keeping a calm countenance when negative and untrue things are said about my husband. The Bookends of the Christian Life is one that I seem to revisit often. The Explicit Gospel by Matt Chandler and The Mission of Motherhood have been a game changers. My all-time favorite is Pride and Prejudice. Finding your purpose in life is futile unless you are grounded in your purpose of being a follower of Jesus. Understand that we are complete in the purpose and work of the Cross, of what Jesus has already done for us. Being a good, gracious, encouraging and effective loving wife and mother is something to strive for, but when our striving allows our fulfillment to be found in only in those roles, we will eventually run out of purpose when we are no longer needed. Take time to fuel yourself with our daily bread, whether that is an early morning devotional, worship music on the car radio, or listening to a podcast while you are making dinner. Enjoy a little time with a hobby even if it is just a few minutes a day. And trust that God is good enough to take care of all of us, as Elise Fitzpatrick writes in Give them Grace. She goes on to say that, “We have far too high a view of our ability to shape our children and far too low a view of God’s love and trustworthiness.” He’s got us, even, maybe especially, when we don’t.